Rick (Andrew Lincoln) is wary of trusting others after his experience with the cannibals at Terminus. He’s reluctant to help when the group hears someone screaming but his son Carl (Chandler Riggs) urges them to check it out. 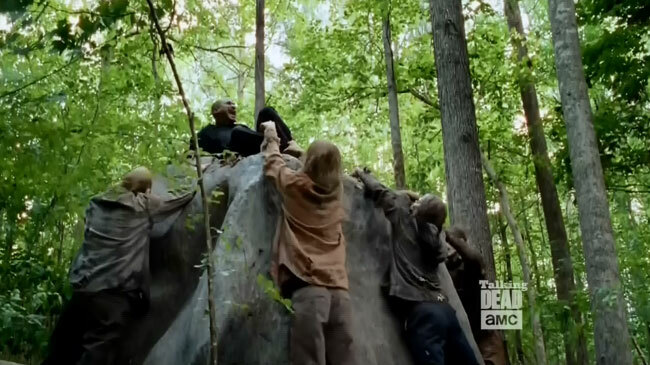 The screams are coming from Gabriel, who is stranded on a rock surrounded by zombies. 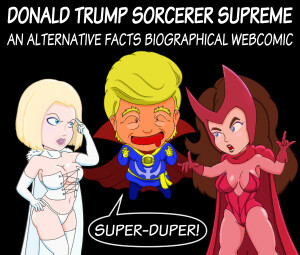 The show seems to be sticking close to the source material so far. 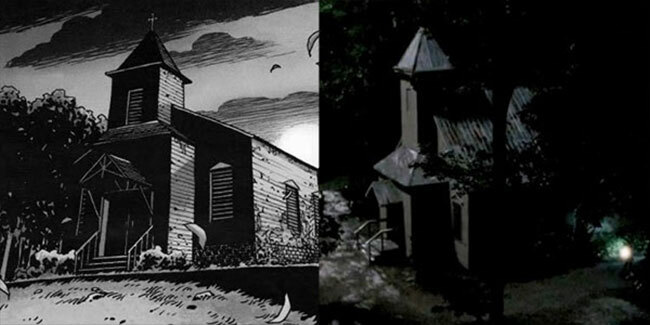 Gabriel is heard asking for forgiveness inside his church, which was recreated from the comic book. Gabriel was initially suspected of being in league with the Hunters, the comic counterparts of the cannibalistic Termites. 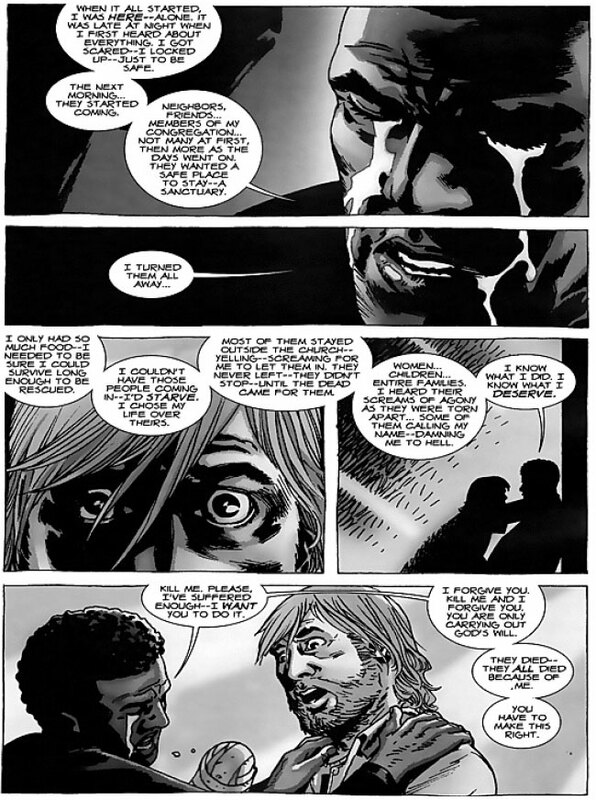 He denies it but admits to crime almost as heinous in The Walking Dead #63 . Gabriel reveals that when the zombie outbreak began, he locked the church doors to keep out not the dead but the living. His reason for doing so was not wanting to share his food for fear of starving. The preacher believes God has sent Rick to kill him as punishment for his sin but eventually he learns to live with what he has done. He even gets a second chance when history repeats itself and he locks himself in his church. This time he lets the people in before they’re eaten by zombies. Despite being welcomed into the group, Gabriel tries to get them kicked out of their most recent home at Alexandria. He tells the town leader how Rick murder the Hunters but their actions are deemed justifiable given the circumstances. Gabriel is currently still alive in the comic in part due to his hanging back. He preaches safely behind the walls of the town and has rarely been seen since. Hopefully, we’ll see a new take on the character and he’ll either become an asset or a problem for the group. Otherwise, don’t be surprised if they end up killing off this mostly peripheral character.